One of Rep. Rashida Tlaib’s key fundraisers, Maher Abdel-qader, has repeatedly promoted anti-Semitic conspiracy theories. The Michigan Democrat is a member of a Facebook group where Abdel-qader and other members have shared anti-Semitic content. 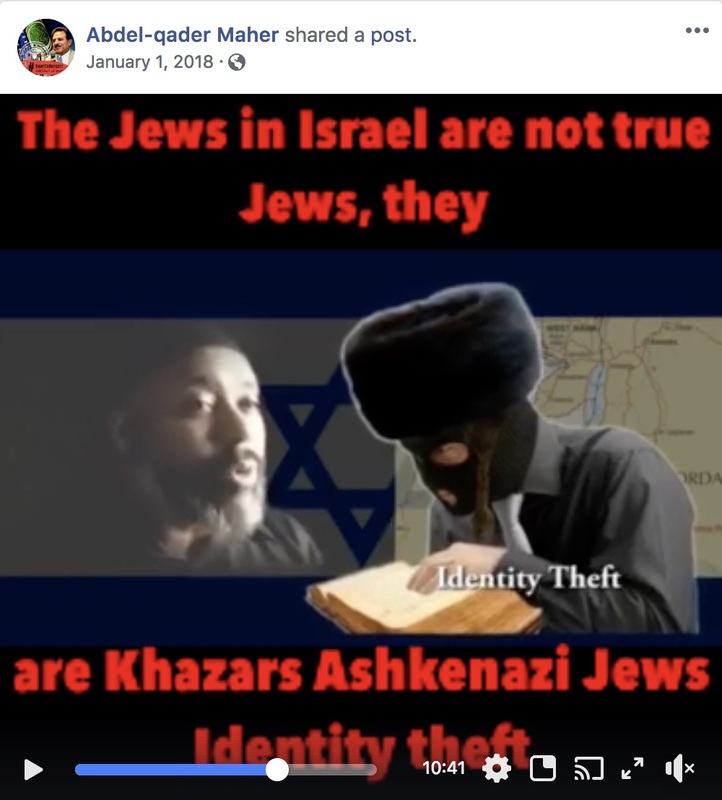 One video Abdel-qader shared with the group accused Jews of secretly controlling the media and exaggerating the Holocaust. Tlaib has already come under scrutiny for having ties to other anti-Israel figures and for questioning the loyalty of pro-Israel lawmakers. Tlaib is a member of the Facebook group “Palestinian American Congress,” where members often demonize Jews. 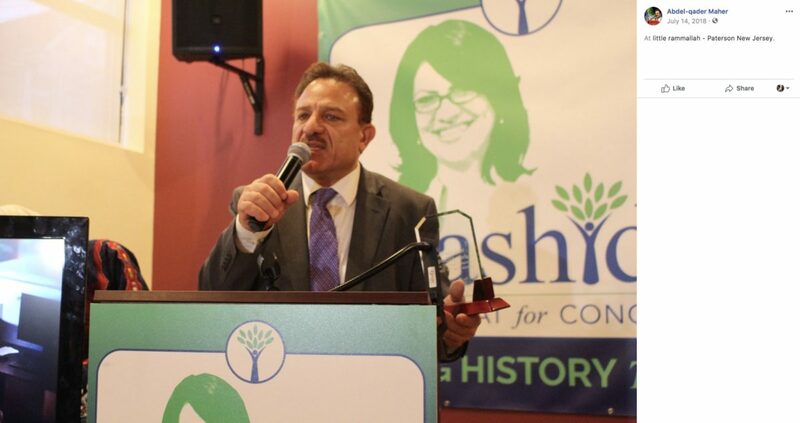 The group’s founder, Palestinian activist Maher Abdel-qader, was a key fundraiser for Tlaib and organized campaign events for her around the country. 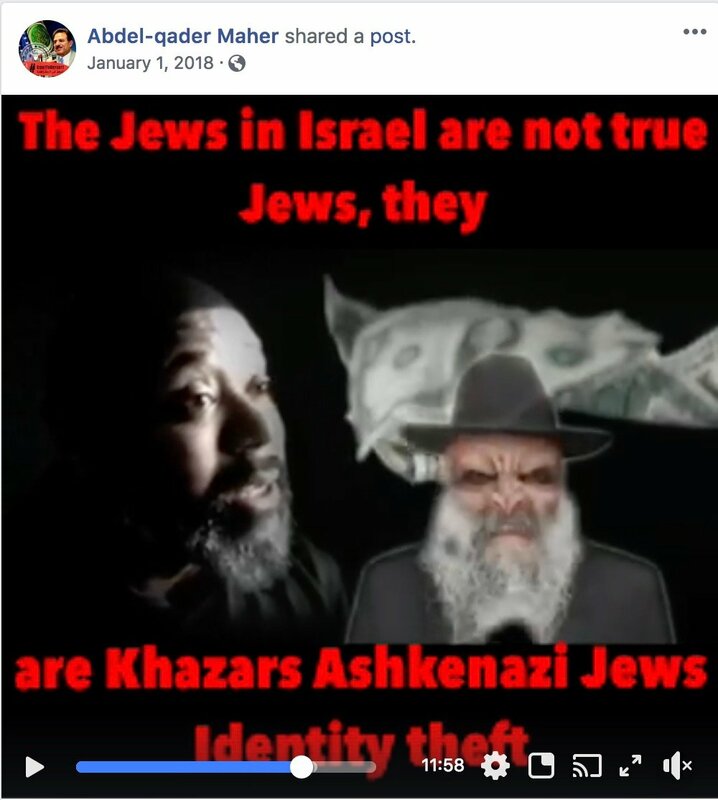 In January 2018, Abdel-qader shared an anti-Semitic video that claimed Jews aren’t actually Jewish, and invented their historical claim to Israel and secretly control the media. The video, which described Jews as “satanic,” also questioned whether 6 million Jews actually died in the Holocaust. “Research the truth about the Holocaust, and you’ll definitely start to question what you thought you knew,” the video’s narrator says. Abdel-qader shared the video both on his personal Facebook page and within the group that now includes Tlaib. The anti-Semitic video Abdel-qader shared multiple times doesn’t appear to have been a one-off occasion. Other members of the group have added posts accusing Jews of controlling the media and perpetuating other anti-Semitic stereotypes. Tlaib has been a member of the Facebook group since February 2018 when Abdel-qader added her, according to Facebook. The group has a little over 11,000 members. In March 2018, Tlaib presented Abdel-qader with a medal showing her appreciation for his help with the campaign, according to Voices of New York, a project of the City University of New York (CUNY). She posted multiple pictures of herself with Abdel-qader on Facebook during the campaign and emphasized how important his support was to her. Abdel-qader took credit on Facebook for organizing fundraisers for Tlaib among Arab-Americans, pulling in hundreds of thousands of dollars for her campaign. 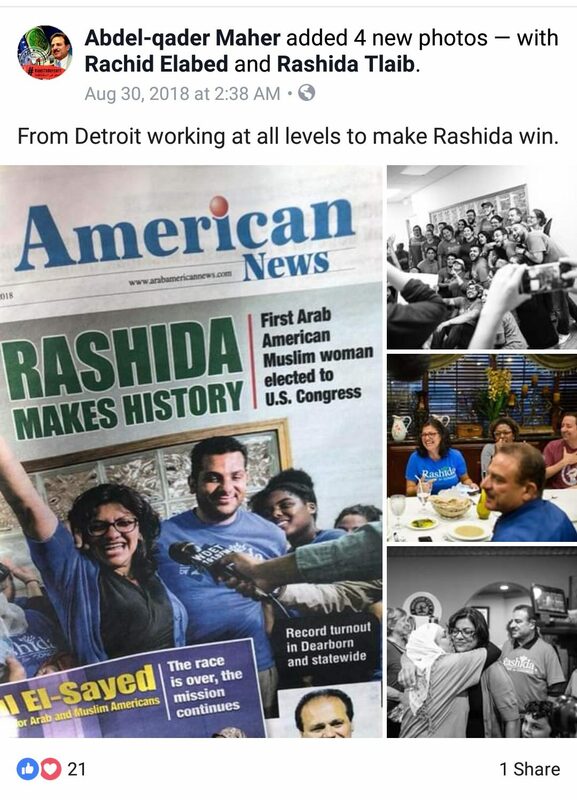 Photos he’s posted on social media show him speaking at Tlaib campaign events. Abdel-qader said he has “great respect for the religion and the Jewish people” in an email to TheDCNF early Tuesday morning after this article was published. Abdel-qader added that there is “no such thing as ‘fake Jews. '” and denied that he ever advocated as much, despite his Facebook posts to that effect. He declined to answer a question regarding anti-Semitic conspiracy theories about Jews secretly controlling the media. Tlaib’s chief of staff, Ryan Anderson, did not return a request for comment. Abdel-qader wasn’t the only anti-Israel activist with ties to Tlaib during her campaign. Women’s March co-chair Linda Sarsour was an early Tlaib supporter and also attended her swearing-in ceremony in Washington, D.C., earlier this month. 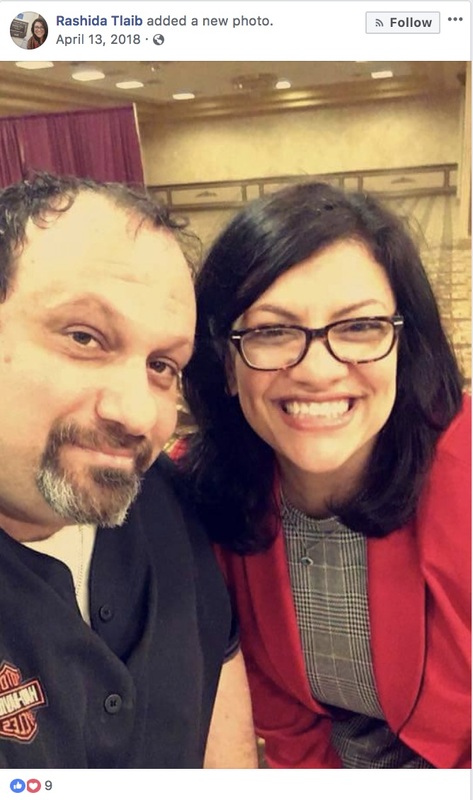 Palestinian-American professor Amer Zahr, a supporter of the anti-Israel Boycott, Divestment and Sanctions (BDS) movement, appeared at campaign events and also attended Tlaib’s swearing-in ceremony. Zahr posted a Facebook video he recorded from Tlaib’s office to show that he had re-labeled Israel as “Palestine” on a map hanging in the office. 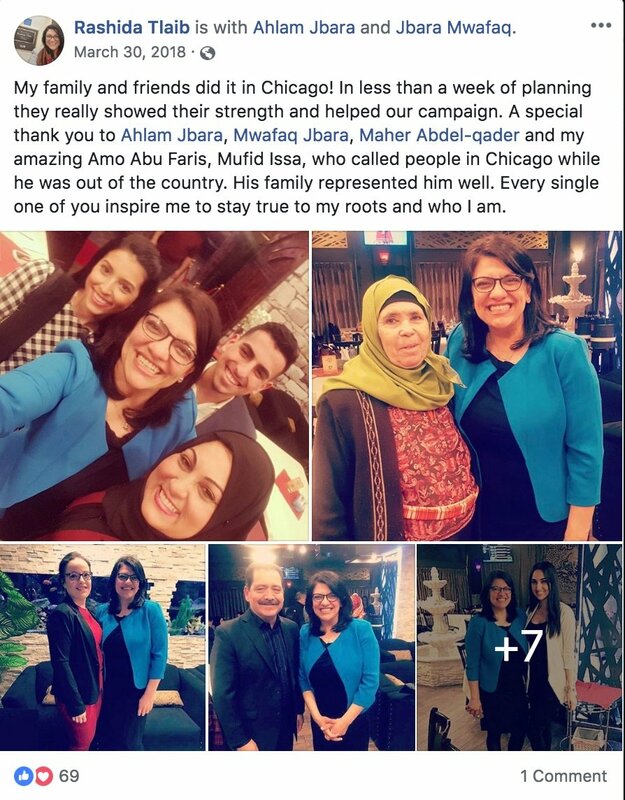 An article recounting the label change received positive reactions when shared within the “Palestinian American Congress” group that Tlaib belongs to on Facebook. Tlaib previously came under fire after posing for a picture with Palestinian activist Abbas Hamideh, a supporter of Hezbollah who believes Israel shouldn’t exist, at her swearing-in ceremony. The left-leaning Anti-Defamation League demanded an explanation from Tlaib, who told the Detroit Free Press on Friday that she didn’t know who Hamideh is. 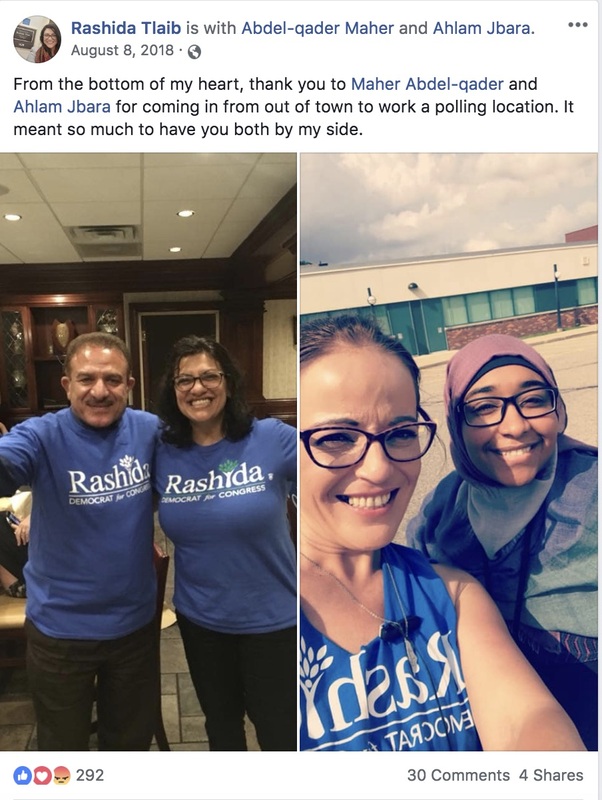 Nine months before the controversy, in April 2018, Tlaib posted a picture of herself and Hamideh on Facebook. Tlaib also questioned in a tweet whether Republicans who support anti-BDS legislation “forgot what country they represent.” Tlaib supports the BDS movement, which has often overlapped with anti-Semitic causes. Florida Sen. Marco Rubio and other Republicans accused Tlaib of questioning Jewish-Americans’ loyalty to their country, though Tlaib insisted there was no anti-Semitic intent to the tweet.